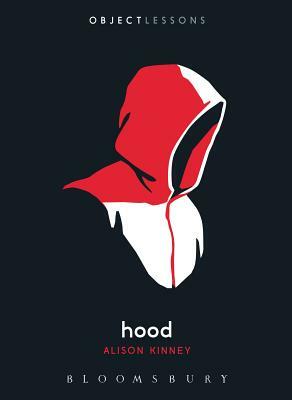 We all wear hoods: the Grim Reaper, Red Riding Hood, torturers, executioners and the executed, athletes, laborers, anarchists, rappers, babies in onesies, and anyone who's ever grabbed a hoodie on a chilly day. Alison Kinney's Hood explores the material and symbolic vibrancy of this everyday garment and political semaphore, which often protects the powerful at the expense of the powerless-with deadly results. Kinney considers medieval clerics and the Klan, anti-hoodie campaigns and the Hooded Man of Abu Ghraib, the Inquisition and the murder of Trayvon Martin, uncovering both the hooded perpetrators of violence and the hooded victims in their sights. Alison Kinney is a writer based in Brooklyn, New York, USA. She is a regular correspondent at The Paris Review Daily, and her writing also appears online at The New Yorker, Harper's, Lapham's Quarterly, The Guardian, The Atlantic, Longreads, Hyperallergic, L.A. Review of Books, The New York Times, The New Inquiry, New Republic, VAN Magazine, and other publications.